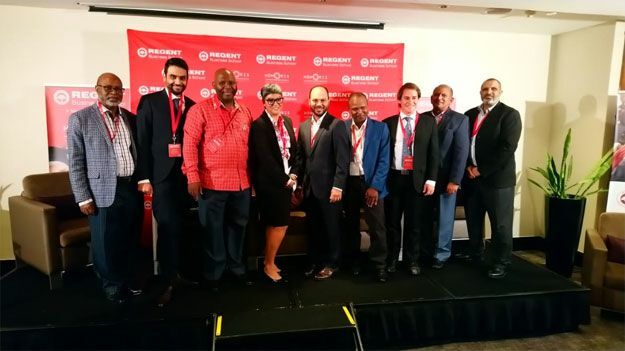 Some of SA's foremost analytical minds in politics and economics sparked robust debate at the Regent Business School* Pre-Budget Roundtable when they shared their insights, forecasts and perceptions on Finance Minister Tito Mboweni's looming Budget Speech. The Davos-style interactive session at the Crowne Plaza Rosebank in Johannesburg attracted established and enterprising minds in business, as well as individuals who are closely tracking what Finance Minister, Tito Mboweni, is likely to table in his widely-anticipated Budget Speech tomorrow. 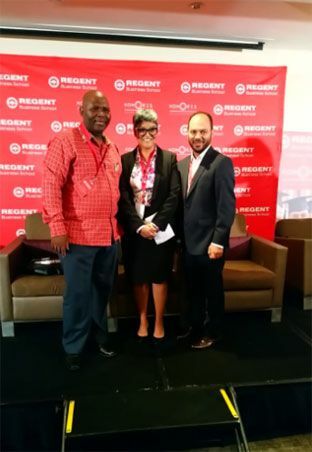 Regent Business School, a member of Honoris United Universities**, facilitated an esteemed panel comprising Professor Somadoda Fikeni, one of South Africa's recognised political and social commentators, Senior Standard Bank economist, Dr Emile du Plessis, Dr Ralph Mathekga, political analysist, academic and author and Mr Nadir Thokan, financial market analyst and regular radio and TV contributor. “Given the pressure of rating agencies, the budget will be about addressing issues of investment requirements. This will be a far cry from any inclusive budget necessary for development as prescribed in the National Development plan,” said Nadir Thokan. The rapid-fire exchanges among the thought-leaders, the seated audience and the web-streaming participants set the tone for a lively and critical interaction and audience members left with some sobering food for thought. All that remains to be seen now, is whether Minister Mboweni will manage to pull the proverbial rabbit out the hat to restore confidence when he tables his 2019 Budget Speech in Parliament or whether the delicate balancing act will prove to be a ‘mission impossible task’. Since 1998, Regent Business School (RBS) has been at the forefront of premium management education across the continent. Headquartered in South Africa, RBS’s acclaimed finance and management programmes have helped individuals and organisations build and sustain competitive advantages in a rapidly changing, complex business environment. With campuses in all major hubs including Durban, Johannesburg, Cape Town and Pretoria, as well as in SADC countries, Swaziland and Namibia, the institution’s alumni base of 5,000 is rapidly expanding. RBS’s four leading centres for excellence - The Institute of Entrepreneurship, The Centre for Islamic Finance and Banking, The Centre for the BRICS Business Schools Association, and The Centre for Public Sector Administration Management and Innovation – are popular with high performers who are serious about making positive, impactful change within the global finance and management sectors. Honoris United Universities is the first pan-African private higher education network committed to preparing and educating the next generation of African leaders and professionals able to impact regionally in a globalised world. Collaborative intelligence, cultural agility and mobile mindsets and skills are at the heart of Honoris’ vision of higher education. 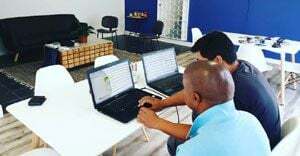 Honoris United Universities gathers a community of 30,000 students on 48 campuses, learning centres and online, in nine countries and 30 cities across Africa. More than 100 degrees are offered in the fields of Health Science, Engineering, IT, Business, Law, Architecture, Arts and Design, Media, Education and Political Science.